If you prefer the manicured appearance of a lawn with no intrusive plants, then those patches of clover have to go. But how do you remove the clover without damaging the grass? 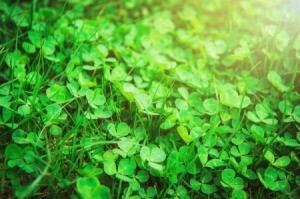 This is a guide about removing clover from your lawn. I am looking for a natural way to get rid of clover in the lawn. There is a lot of clover. If clover doesn't get too high, why get rid of it? It's good for the soil, cushy underfoot, and has pretty flowers. Better yet, get some of the short wildflowers and plant them also amongst the grass. I plant it deliberately. 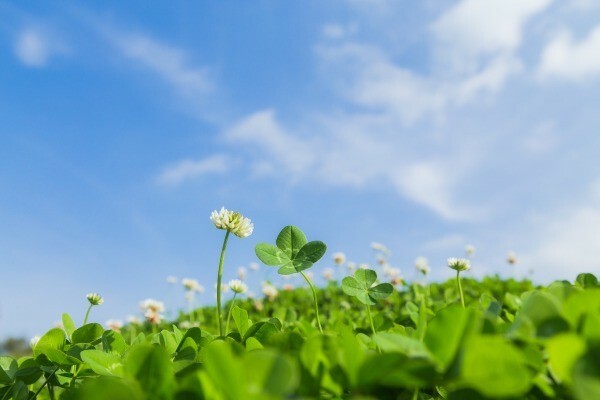 The only way to get rid of clover is poison the whole yard, which seeps into the groundwater, and put in new grass seed or sod, or perhaps there's a select poison for clover only. I agree too. I just bought some grass seed WITH clover. Clover is more drought tolerant, needs cutting less often and is durable. Look it up. I have 3 solutions, all rethinking the problem. Don't get rid of the clover. It's a legume, and is normally there as part of a grass stand, keeping your soil fertile. You'll learn to love it. If you still want to get rid of it for a specific reason (maybe your child is badly allergic to bee stings), then harvest it and feed it to the chickens or other animals. Or compost it with lots of shredded paper. If your animals don't like the taste, there is too much for them to eat, or you don't have animals to feed it to, consider removing your lawn. Lawns can be a waste of water. Instead, start an ornamental vegetable garden or edible landscape. Rosalind Creasy has a fine book on the subject, and there are numerous websites. I am having lawn trouble and I'm at my wits end. I did the weed and feed thing in the early spring and now the clover and it's pretty purple flowers are taking over. Any help getting rid of it is greatly appreciated. Clover is great for enriching your soil. Just keep mowing it with the grass and as the soil gets better, the clover will die out. Weed killers are doing genetic damage to frogs so it may be doing damage to us also. I have a patch of clover on my lawn. I'm looking for a natural weed killer that doesn't harm the grass. How do I get rid of clover that is invading my lawn and flower beds? Does anyone have a recipe I can make? You may want to consider leaving some of it. 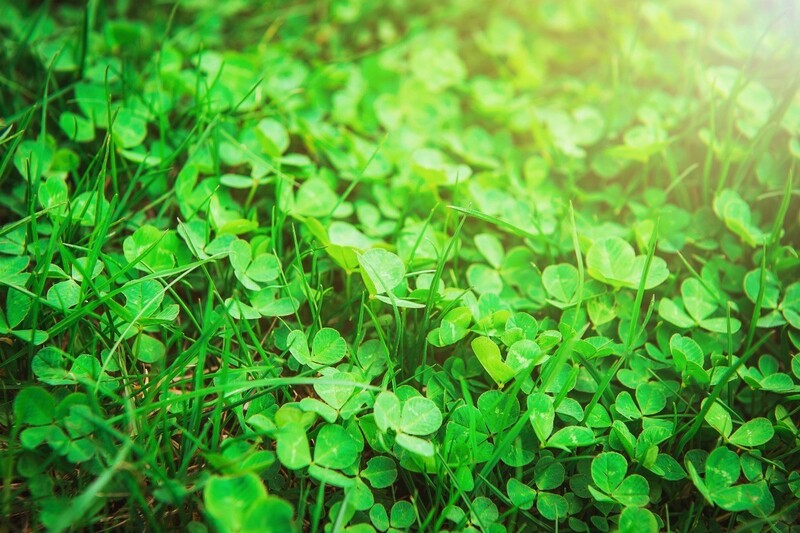 When you see clover in the lawn and garden (red, white and pink clover), it is actually providing many benefits. It is a member of the legume family, which makes it a nitrogen fixer. Nitrogen fixers are plants that take nitrogen from the soil and air and convert it into a form that is useful for nearby plants. It also attracts bees, which as you know, are the most important pollinators in the yard and garden. It also creates biodiversity in the lawn, without competing strongly with the grass. If the clover you are referring to is yellow clover (also called black medic) that is a different story. Yellow clover is a sign of low nitrogen in the soil. It can take over your lawn and choke out your grass. The best way to get rid of it is not by using a product, but by improving the soil quality (specially the level of nitrogen) in your yard and garden. This can be done with the addition of organic fertilizers or by adding 1-2 inches of compost to your lawn and garden beds in the fall. The weeds themselves can be dug out by hand, preferably when the soil is wet. Another common clover-like weed is Wood Sorrel (Oxalis sticta). It has delicate yellow flowers and leaves that look like shamrocks similar to that of clover. Wood Sorrel is much more difficult to prevent from spreading, but at least it comes out of the ground easily when removed by hand. Using an organic weed and feed on your lawn can be helpful, but be careful to follow the directions carefully as these products prevent grass seeds from germinating as well as weed seeds. Timing is very important to the success of these products. Frequent mowing also helps by preventing the weeds from going to seed.